Shantou doesn’t have much famous hawker food or snacks place. 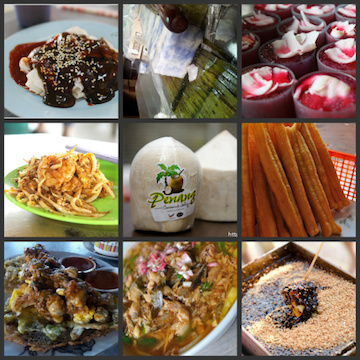 Most of the eateries here were mainly restaurants that serve seafoods and rice. 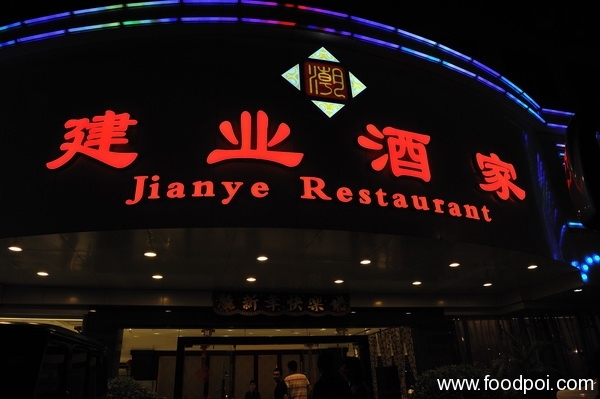 For our second day dinner in Shantou, we were brought to Jianye Restaurant which located next to the place where we had our lunch earlier. The size of the normal dining hall alone can accommodate up to 500 pax at any one time. Hugo is choosing a nice local fish for our dinner. The fish that he got for us is called KWAI FA fish which only available at Shantou. All the chefs are getting nervous when Hugo and us all drop by their aquariums to select our fish. The price of the fish here is cheaper than the one we got back in Malaysia due to the sea nearby. The soup is cooked by using fresh young papaya and also a fresh water fish. I forgot to ask Hugo what is the type of the type of the fish used here. The weather out there is as low as 10C and this hot bowl of soup warm us up. .-= NKOTB´s last blog ..Look Yuen Restaurant ???? =-. I wanna eat the kwai fa fish! .-= iamthewitch´s last blog ..Fiery Chicken Hot Pot that makes you sweat =-. Goose innards, never try before leh…dunno how it tastes?? Btw ar, you really look like Hugo Leong la….hahahah! .-= uLi´s last blog ..The Making – Fun Kee Bamboo Noodle (?????????) =-. I rather follow Hugo than ‘choy lan’. He really lan choy. .-= Jason Wong´s last blog ..Chicago Ribs House @ Gurney Plaza =-. Damn!! I am feeling so hungry now after reading your post and seeing the yummy food.